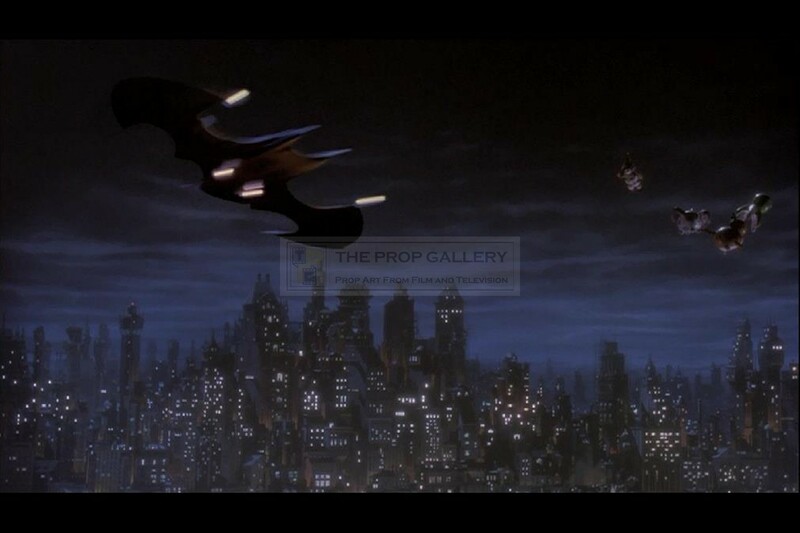 An original storyboard used in the production of Batman, Tim Burton's 1989 superhero blockbuster starring Michael Keaton as the caped crusader opposite Jack Nicholson in his unforgettable portrayal of The Joker. 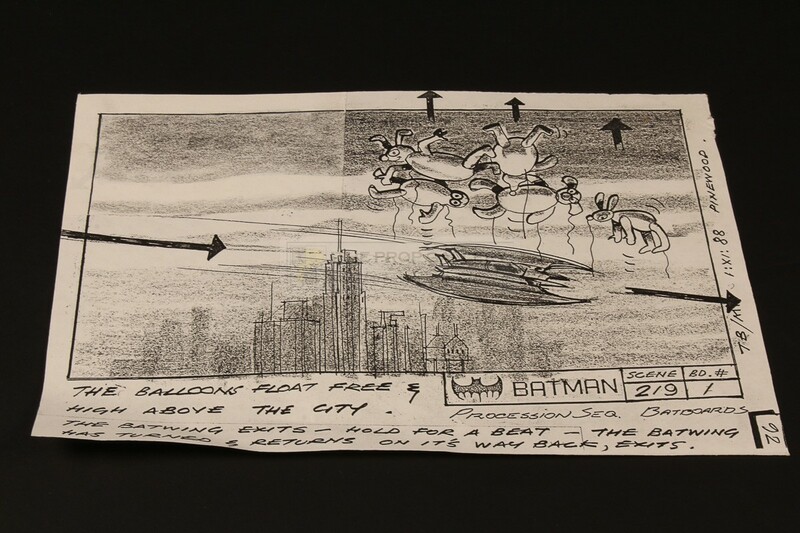 This storyboard is a production issued copy of the original rendering and depicts the scene in which Batman (Michael Keaton) cuts the tethers on The Joker's (Jack Nicholson) balloons during the memorable street procession using the Batwing. The board illustrates the balloons and Batwing high above the city with directional movement arrows and a description of the action taking place. 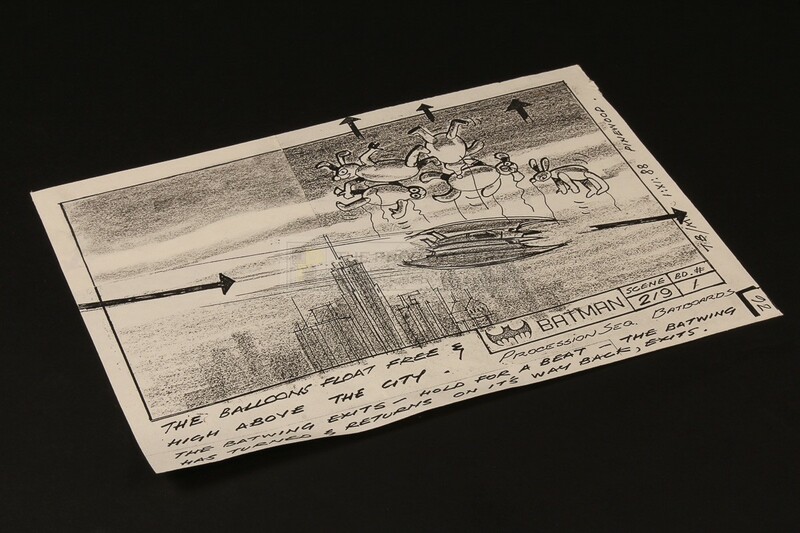 This revised storyboard has had a piece of paper glued to the top left corner with the continuation of the skyline being hand drawn and appears to block out a distant Batwing swooping for another pass. The storyboard measures 11.25" x 7.75" and remains in excellent production used condition with some minor edge wear, overall fine. 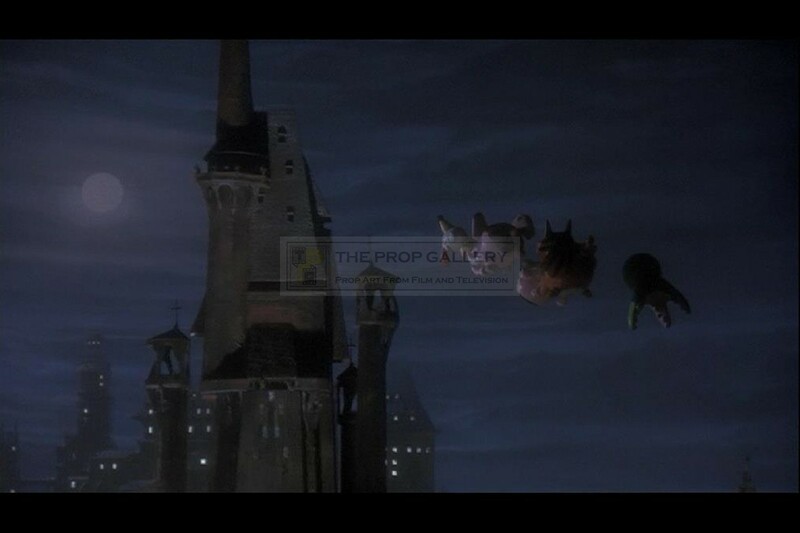 A highly displayable storyboard with excellent subject matter from this Academy Award winning classic of the superhero genre.